As Interior Designers we will help you bring your house into feeling like your home or take your home and stage it to appeal to the consumer for a sale. Corrie Taylor has been transforming Lehigh Valley homes for more than 25 years. From color consultations to entire home redesigns, she creates interior spaces that are visually enticing, cost effective and worthy of being noticed! Corrie melds the personality and vision of her clients with their homes architectural details, spatial reality and desire to achieve the perfect marriage of style and function. Every client is unique, Design2live is sensitive to the needs and objectives of each client including those with limited budgets.Taylor is committed to meeting and exceeding her clients expectations…this level of commitment has and will continue to result in successful project completions for each of her clients. Julie Sloan is a founding partner of Staged Right, LLC. She started her career in medicine in Chicago, where she is from originally. Julie always had an interest in and an eye for design and interiors, and after raising her family, she decided to start a career in Home Staging. Julie started Staged Right, LLC, in 2008, and has successfully staged homes and redesigned spaces in Pennsylvania, New Jersey, and Chicago, Illinois. Tina Rettig worked in marketing communications and business development for many years before stopping work to make a corporate move with her husband and family. She moved to Bucks County, PA in 1998, and worked part time as both a Lifeguard/CPR Instructor and swim instructor while raising her children. When her home sold quickly after having been Staged, Tina realized what an important industry Home Staging is for the real estate market and wanted to be part of this exciting enterprise. Julie and Tina met and became friends over 15 years ago, when their young children were in school together. Over the years they have formed a strong friendship, and now have a strong partnership to help Sellers prepare their homes for sale. They know that their knowledge of Home Staging and Redesign, and professionalism with Realtors and Sellers alike, will take the stress out of the home sale process. 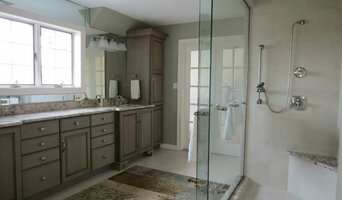 KLD Interiors is a Home Staging and Redesign company located In North/Central New Jersey. KLD Interiors is professional Home Staging Resource Certified company that will make dramatic transformations. 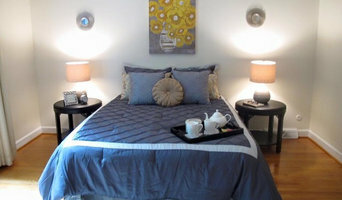 Our services include home staging for occupied or vacant homes. 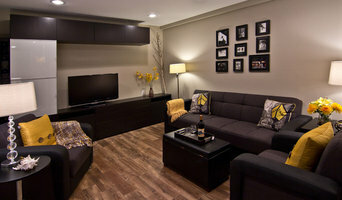 In addition, we can arrange furniture rental, accessory shopping, color consulting, photo styling and room redesign. KLD Interiors will make recommendations for updates such as paint, carpet replacement, de-clutter, organization, and getting your home market ready. Our goal is to get an online buyers to make an appointment to view your home and make an offer. Tasteful Spaces creates inspired visions for your home. When professionally staged, we give your home that "wow factor" that creates an emotional connection for the buyer. That sells your home faster and for a larger profit. When Tasteful Spaces redesigns your house, you will fall in love with your home again! 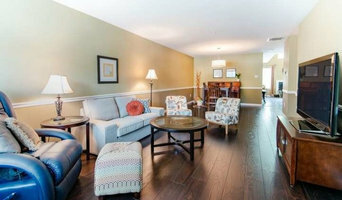 Home Staging and Redesign Staging: Are you preparing to move? We will assist you in getting your home photo and client ready; maximizing the space you have and highlighting the best features of your home. We can assist you by giving you a "blueprint" of what to do, or do the work for you....you decide. We work with furnished homes, as well as vacant, providing exactly what you need to showcase your home in its best light, and bring potential homebuyers to your home. Redesign: Looking to change up your space? Use what you already have and create a new feeling in your home...whether it's one room or several. We can help you figure out how to place your furniture and accessories and purchase specific additional items, if necessary, to complete your desired look. Make it your home affordably! We offer paint color consultations for both home sale preparation, or designing your home for you! Home staging, professional organizer, and cleaner for residential and commercial clients. Located in the Boyertown PA area. With over 20 years of experience in the Interior Design and Home Staging Business, we bring an unparalleled wealth of expertise to our unique design concepts. Whether it's using found objects, an objet d'art or existing furniture in new and different ways, our designs bring everything together in a cohesive manner with the objective of appealing to the broadest Buyer audience possible when Staging... or specifically to the taste of our Interior Design Clients. We tailor our Styling to fit any Design Style and/or Personality and pride ourselves on the ability to work within any budget. Sunflower Creations is a full-service home staging company serving the Greater Philadelphia Area (Bucks, Montgomery, and Philadelphia counties). The Grady Group is a full service staging company. 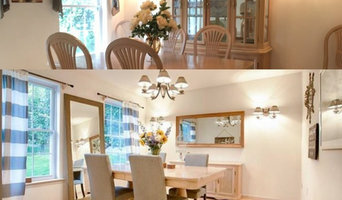 We offer many services including consultations and staging vacant and occupied homes. Please visit our website for details about our services.